Imke Fischer was the inaugural treasurer of the Tom Brock Bequest Committee when it was set up by 1999 and served in this capacity until 2017. Imke was born in Germany, the daughter of Rolf Fischer, a medical doctor and a pilot, and his wife Ruth. Little is known of her early years in Germany, other than the fact that she was a gymnast. Imke emigrated to Australia in 1968 beginning life here as a cook. Her daughter Anja Turner recalled that she was ‘quite driven’ to develop educational qualifications spending much time studying for the HSC and then pursuing teacher training. She was then appointed a physical education teacher at Boronia High School in Melbourne. Imke then equipped herself for a career in tertiary teaching by undertaking academic study at Victoria University and Gippsland Institute. She joined the Department of Human Movement at Australian Catholic University on 15 February 1989 becoming its head in 1999. She then transferred to the School of Nursing in 2005 becoming Associate Head of the School from 2007. In 1999, she spent six months in Sri Lanka with an International Consultative Team which sought to upgrade the teaching of Physical Education there. Imke participated in a number of conferences of the International Association of Physical Education for Girls and Women. Imke completed her PhD in 2001 at Sydney University, being supervised by Kitty O’Brien. Her PhD topic was: ‘Years of Silent Control: The influence of the Commonwealth in State Physical Education in Victoria and New South Wales’. 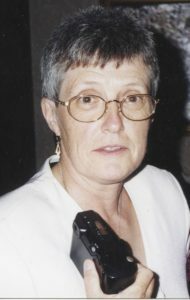 Imke served lengthy stints as treasurer of ASSH from 1993 to 2009 (with a break of two years between 2003 and 2005) and the Tom Brock Bequest Committee, from 1999 until she resigned on 14 March 2017. She was an old-style treasurer who jealously guarded the funds and made use of cheques rather than internet banking. She was presented with a service award for her contribution to ASSH in 1997. Imke facilitated the organisation of 2003 ASSH conference which was held at the Mary MacKillop campus of the Australian Catholic University at North Sydney. Imke was a strong advocate for girls and women in PE and sport and quietly contributed wherever she could. She was one of the founding members when WomenSport and Recreation New South Wales (WRNSW) in 1993 later becoming its president. She also urged the members of the Tom Brock Bequest Committee to include female lecturers for the annual lecture, the first being Debbie Spillane in 2011 and the second Raelene Castle in 2017. Although she was too ill to play a significant role in the organisation of the Sydney 2017 ASSH conference she encouraged the organisers to contact Louise Evans, the communications director of Women Sport Australia, who organised an innovative round table on ‘Australian Women’s Team sports: the race to dominate the golden era of women’s team sports’. This event featured current players and an organiser from five women’s team sports. Imke had a droll sense of humour. She used to chuckle about how some ASSH members tried to avoid her at meetings fearing she would approach them for unpaid fees. Imke was also stoic individual who never complained about her declining health. The debilitating blood disease, myelofibrosis, severely affected Imke in her last year of life when she required a monthly blood transfusion. She was devoted to her grandchildren and frequently visited them in Melbourne. It was a pleasure to work closely with Imke over some three decades as she was reliable and steadfast in her commitment to sports history causes. Sadly, unbeknown to anyone at the conference, Imke died on 21 May 2017 only seven weeks before the Sydney 2017 ASSH conference so she had no opportunity to witness the greater prominence and presence of women, in terms both of participation and the topics covered, at this conference. Had she attended there would have been the opportunity to thank Imke for her long-time service for ASSH and the TBBC. Janice Crosswhite, who worked with Imke in WRNSW, noted that Imke appeared happier remaining in the background, giving her support to those out in the front. Imke was both a private and modest individual who rarely talked about herself. Given what I know about her now I would have loved to ask her about her early life in Germany, her experiences in coming to Australia and about how she made a niche in academic sports history. Hopefully, steps will be undertaken to recognise her significant contribution, a combined total of over three decades as the treasurers of the Australian Society of Sports History and to the Tom Brock Bequest Committee. This entry was posted in Media, Tom Brock Lecture, Tom Brock Scholar by admin. Bookmark the permalink.